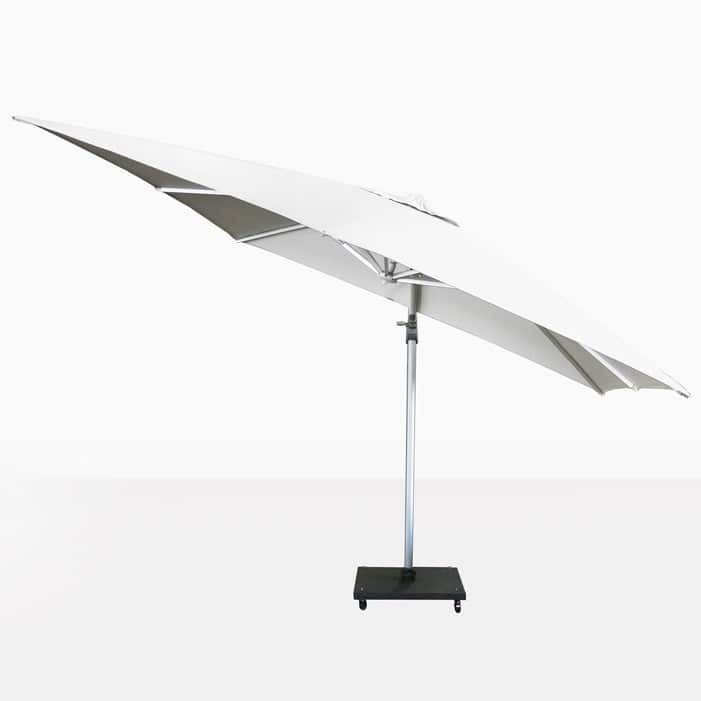 Add shade to your space with the light and airy look of the Mauritius White Cantilever Umbrella. Stay cool and out of the harmful rays of the sun while you enjoy your outdoor sun lounger or sofa. 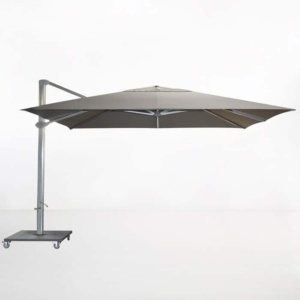 This smart umbrella functions beautifully with ease. 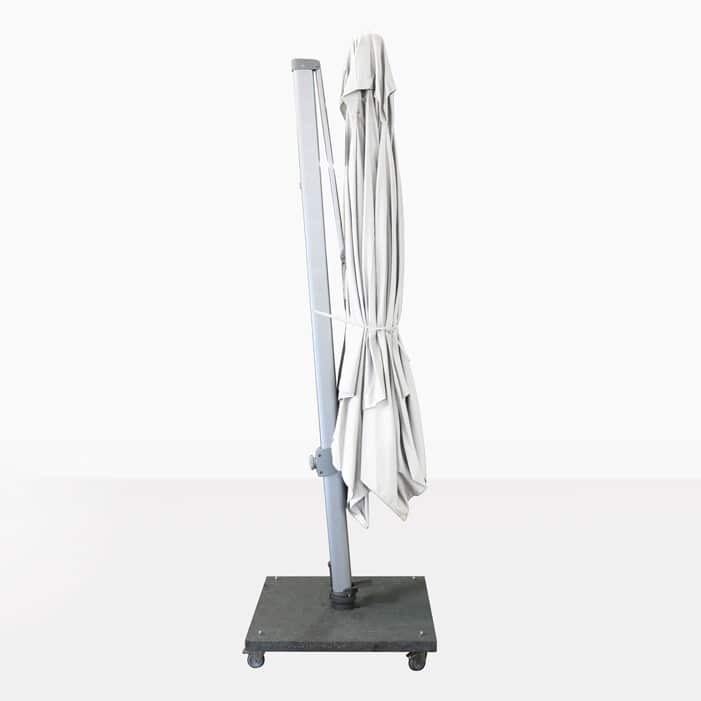 It extends straight and can also tilt left or right depending on where you need coverage. 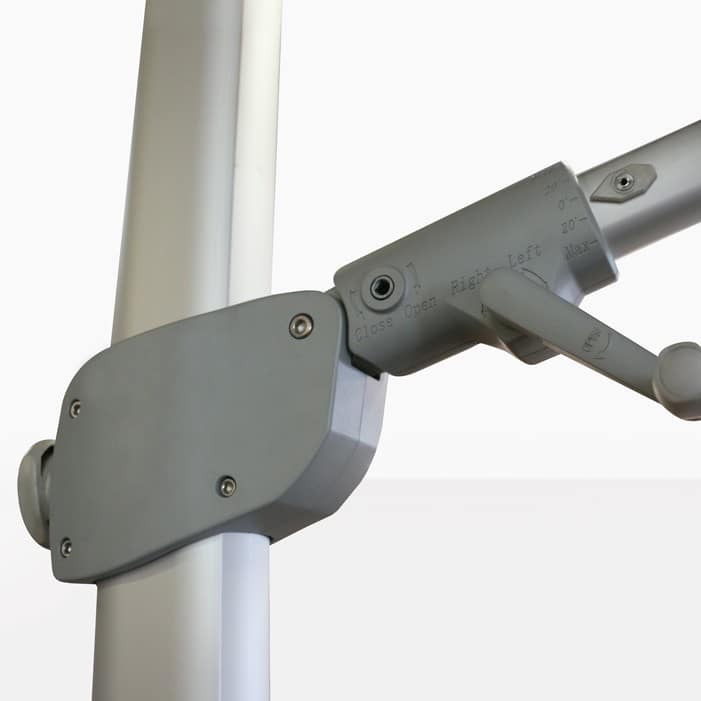 The mechanism is easy to use. Be sure to close and tie your umbrellas when not in use. The Mauritius Umbrella is made with stainless steel, anodized aluminum and Sunbrella® fabric. 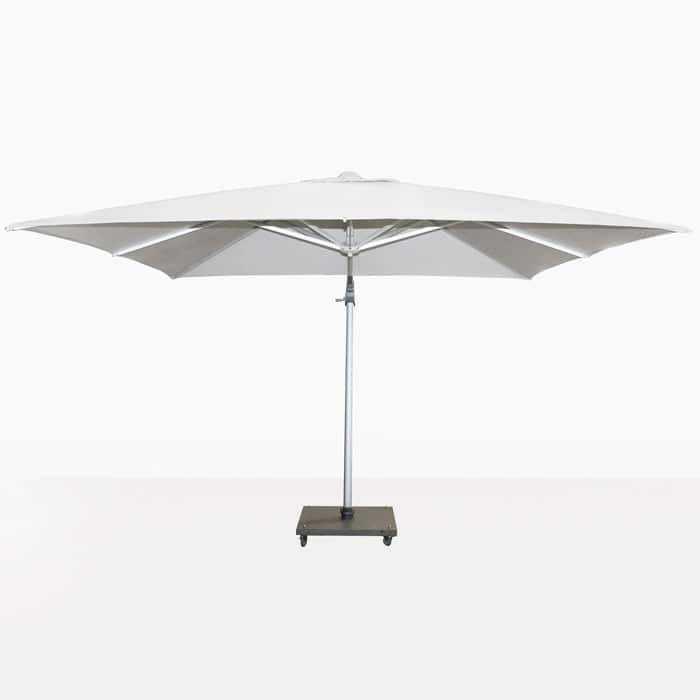 The Mauritius Umbrella comes with the granite base as shown here. The overall height of the Mauritius Cantilever Umbrella from floor to the top of the canopy is 267cm; this includes the height of the base with wheels. 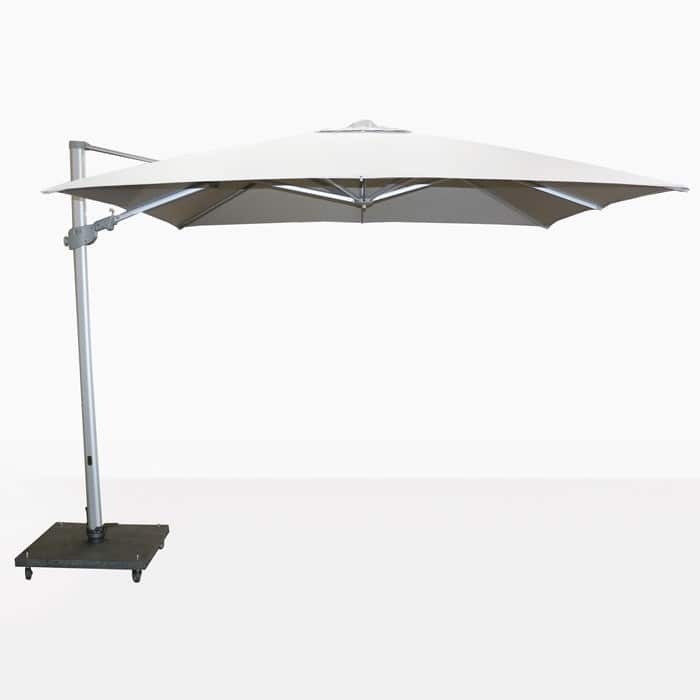 We have a wonderful selection of patio umbrellas for outdoor spaces of all sizes. Call or visit us today to try them out and select the best one for your backyard.